Archive Editions LLC is owned and operated by editor/publisher Ernest Farino, 2-time Emmy® Award winning visual effects supervisor for films and television (The Terminator, HBO's From the Earth to the Moon, Children of Dune, and others). 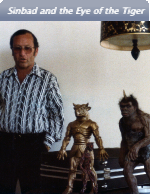 In the early 1970s, Farino and business partner Sam Calvin formed Talos Publications to publish FXRH, the now-legendary fanzine devoted to the stop motion animation of Ray Harryhausen. Now, Archive Editions continues that tradition with high-quality book and magazine projects devoted to visual effects and other aspects of cinema. 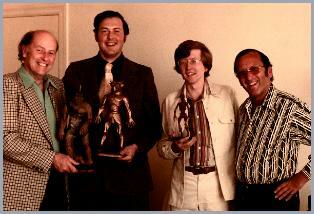 The comprehensive 3-volume career biography of Ray Harryhausen. A compilation of all four issues of the fanzine FXRH devoted to Ray Harryhausen, with production details and anecdotes that chronicle the development and history of this now sought-after fanzine.